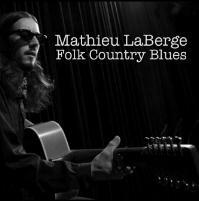 Le 17 novembre prochain, le membre Mathieu Laberge lancera son nouvel album « Folk Country Blues ». Rendez-vous À la Butte St-Jacques (Vieux-Montréal) à 17h00 ! This entry was posted on mardi 11 novembre 2008 at 9:18 and is filed under Membres en action. You can follow any responses to this entry through the RSS 2.0 feed. You can leave a response, or trackback from your own site.